Announced in February this year, the EOS Rebel T5 (EOS 1200D in Europe) is the latest entry-level model from the maker and is the successor to the 12-Mpix EOS T3 (EOS 1100D). The most significant modification the adoption of an 18-Mpix APS-C CMOS sensor, but the T5 also adds full HD video capture at 1920 x 1020 up from 1280 x 720 and includes a new ‘cinematic’ 24 fps option to the 30/25 fps of its predecessor. The Rebel T5 adopts the same Digic 4 processor with 100-6400 ISO sensitivity and 3 fps continuous shooting, however there’s a new expanded ISO option up to ISO12,800 and slightly larger 460k-dot 3-inch rear LCD (up from 230k 2.7-inch). Also, there’s a range of five new filter effects plus it adopts the new standardized menu layout but this refresh is quite clearly aimed at keeping the costs down and the price competitive. As a result it’s one of the most accessibly priced DSLRs on the market and is available at around $549, including EF-S 18-55mm IS II f3.5-5.6 kit zoom. Although it has a modest spec, the EOS Rebel T5 accepts the widest range of lenses offered by any maker – past and present. Canon’s EF lens mount remains essentially unchanged from when it was first introduced in 1987. 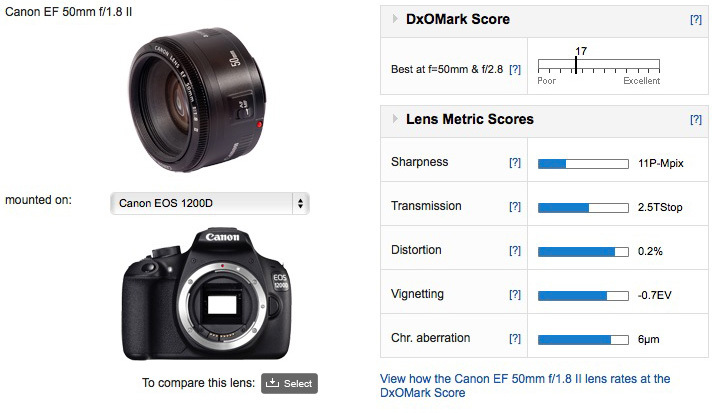 DxOMark have worked incessantly to analyze the optical performance of over 130 full frame and APS-C models from both Canon and third-party makers, ranging from the uniquely wide, yet reasonably compact APS-C Sigma 8-16mm f/4.5-5.6 DC HSM through to the affordable 18-55mm ‘starter’ zooms and up to the new and not so accessibly priced full-frame EF 600mm f/4 IS II USM and EF 200-400mm f/4 IS USM Extender 1.4x models. 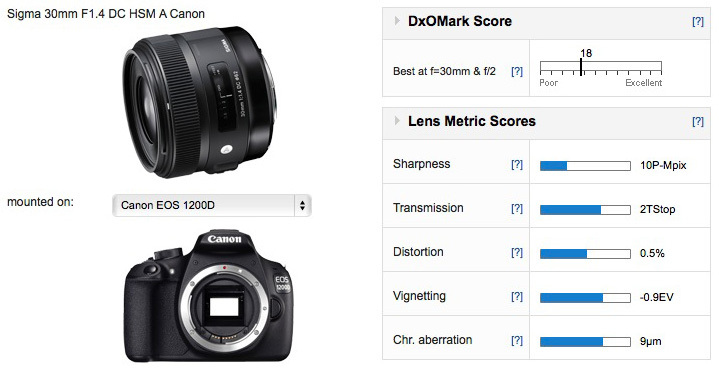 The best performing primes on the Canon EOS Rebel T5 (EOS 1200D) aren’t made by Canon but by Zeiss. Occupying joint first place are the Apo Sonnar T* 2/135 and Distagon Otus 1,4/55 ZE. 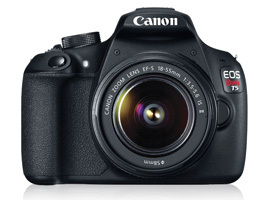 At $1,600 and close $4,000 respectively these are clearly at odds with the price of the Canon EOS Rebel T5 (EOS 1200D). Another third-party maker, Sigma occupies second and third place, with their 85mm and 35mm f1.4 models. The latter Art-series model is in joint place with the new stabilized Canon 35mm f2 IS USM offering similar high degree of correction and overall performance. Most of the lenses listed are full-frame and with their high-prices most of the shorter focal lengths don’t make a lot of sense on the EOS Rebel T5, however, there are always exceptions. 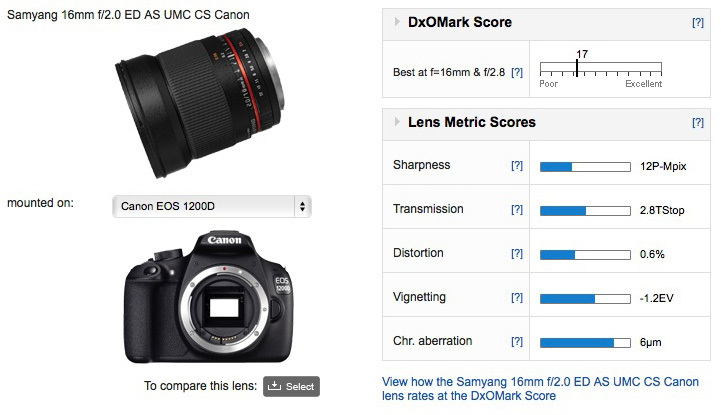 Although manual focus only and without auto aperture control on Canon models the Samyang 85mm and 35mm f1.4 at $285 and $599 reasonably priced and very good performers, although the made for APS-C Sigma 30mm f1.4 Art series has similar performance, includes AF and auto-aperture control and is cheaper still at $499. As an equivalent to a 80mm or thereabouts, the humble full-frame Canon 50mm f1.8 II is another high performer and at $99 is the most affordable of those listed. At $479 and with a 77mm filter thread this high-speed 24mm equivalent is only the second made for APS-C model in our top 30. Although large and fairly heavy at 1.26 lb (583g) it is a very good performer overall. Like most high-speed models sharpness improves dramatically when stopped down a little from full aperture. 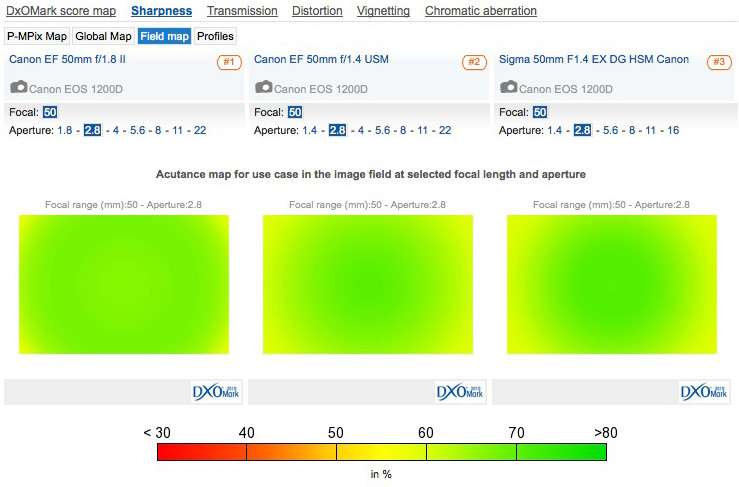 Not that it’s not useable at f2, but sharpness is much improved across the frame at f2.8. 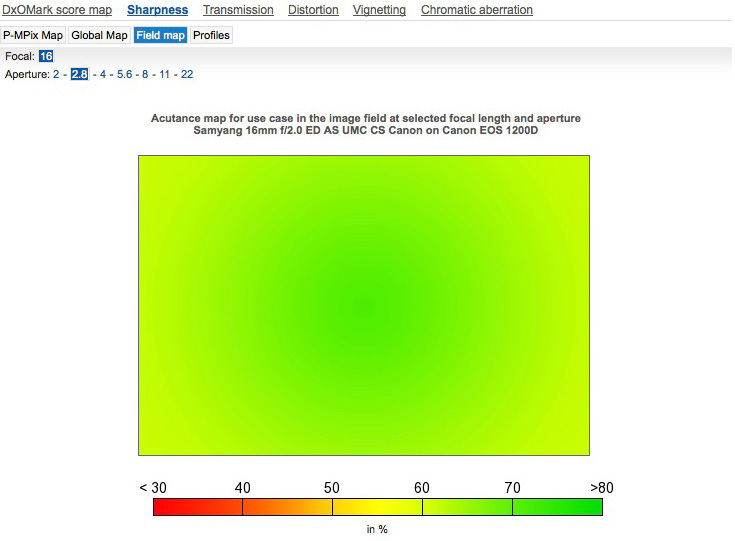 And it has excellent sharpness by f4. Although chromatic aberration suppression is impressive and distortion only mild, it has quite heavy vignetting and the transmission at 2.8TStop is a little disappointing. Keep in mind that this model is manual focus and the Canon mount version requires stopped down metering, meaning it’s not as tempting as it could be. Stopped down a little and the Samyang has very good sharpness with only slight softness at the periphery. As model made specifically for APS-C cameras and as the equivalent to a 50mm ‘normal’ lens the Sigma 30mm f1.4 is a good all-round choice for the EOS Rebel T5. Recently revamped this ultra-high speed Art-series model is well made and is a good performer optically. It doesn’t quite match the Sigma full-frame 35mm f1.4 in sharpness or uniformity but it’s ahead of the manual focus Samyang 35mm f1.4 in the centers even if it can’t quite match that model’s uniformity either. Sharpness isn’t everything of course, but the edges don’t firm up till f5.6, and by f8 diffraction limits sharpness across the field. The Sigma 30mm also has slightly higher distortion, vignetting and lateral chromatic aberration but it’s the smallest and lightest of the three and at $499, it’s the most accessibly priced. Uniformity isn’t a strong point but it has good center sharpness, especially stopped down a little. Although a full-frame model with a field of view equivalent to a 80mm on the EOS Rebel T5 at $99 it’s one of the most affordable lenses in Canon’s line-up. Also it’s exceptionally light and compact – it weighs just 4.6 oz (130g). Besides the appealing fast maximum aperture it’s ideal for indoor head and shoulder portraits. Although sharpness is a little low wide-open it’s very good by f2.8 with only slight softness in the extreme corners. Optimum performance is achieved by f5.6, with high sharpness across the field. 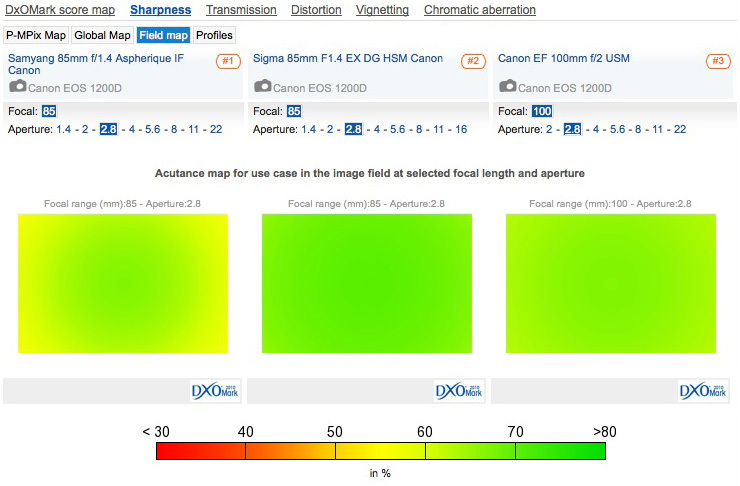 Distortion, vignetting and chromatic aberration are all low compared with the faster 50mm f1.4 models from Canon and the older Sigma EX DG HSM variant (the newer Art series model has not yet been tested on the Rebel T5). Long focus lenses of a moderate focal length make less sense than telephoto zooms but there are still some good examples, if a fast fixed focal length lens is required. At $285 Samyang’s ultra-high speed 85mm f1.4 is an attractive low-cost option, but it lacks autofocus and auto-aperture control – requiring stopped down metering and operation. 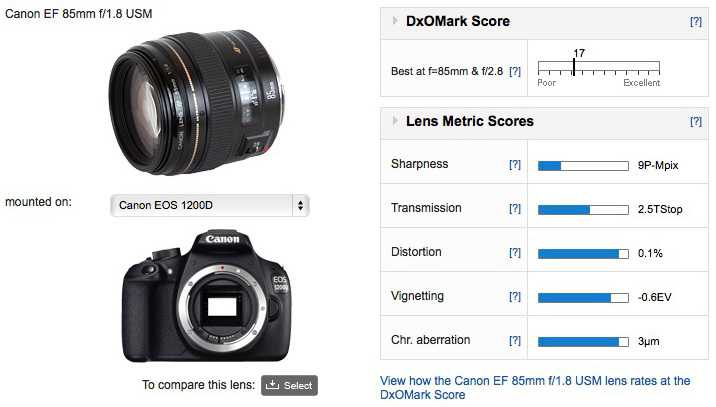 It’s a great performer but in this instance we would recommend Canon’s EF 85mm f1.8 USM at $379. At $440 the slightly longer 100mm with its narrower field of view is still not cheap exactly but it could easily be a contender. Both are good performers generally, though unlike the EF 100mm f2 USM the Canon 85mm f1.8 USM a bit soft at full aperture. Stopped down to f2.8 it has good sharpness across the field with only a slightly drop in the corners. The Samyang is similar but it lacks the uniformity of Canon 85mm, while the 100mm is sharp out to corners. 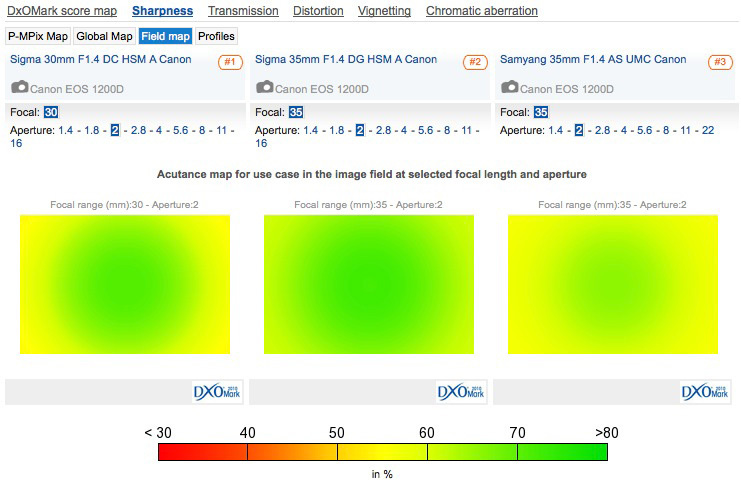 By f5.6 all three perform similarly though the two Canon models have a slight advantage in the extreme corners. Ultimately, the Canon EF 85mm f1.8 has slightly heavier vignetting than either the Samyang or Canon 100mm but distortion and chromatic aberration are very low. Although slightly disappointing at full aperture on the EOS rebel T5, the Canon EF 85mm f1.8 USM has good center sharpness by f2.8 and is sharp across the field by f5.6. In part II of this guide, we’ll be looking at the best performing zooms covering wide-angle and telephoto focal lengths for the Canon EOS Rebel T5.